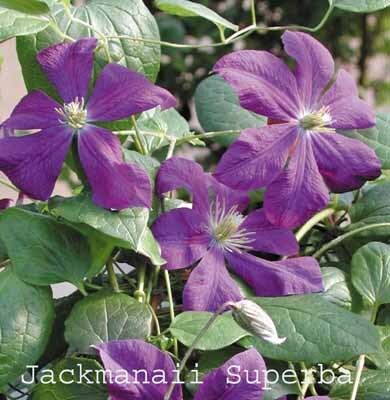 Similar to the more popular Jackmanii, but with a fuller flower. 4-6" (10-14cm) flowers from mid June through August. Mature height 12-20' (3.5-6m). Pruning group C.